I loved my senior boy and I worried as he approached his senior years, then he developed high liver enzymes and all too suddenly was taken from me and I would have given anything to have had more years with him! You are absolutely right, every day is a blessing and I hearken to Garth Brook's song "the Dance" : Yes my life is better left to chance, I could have missed the pain, bu I'd have had to miss the dance". I would not have missed those 8.5 years for anything!!! Thank you, I needed this today. 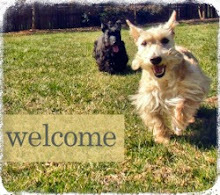 Our darling cairn, Harley, is now blind and has "doggy dementia". 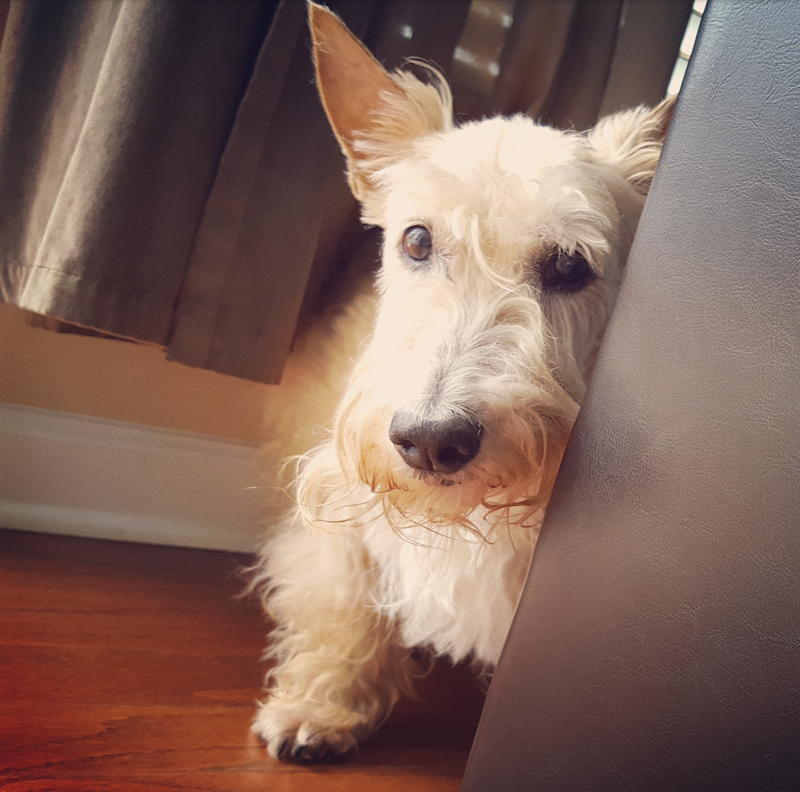 His scottie little brother doesn't understand why his big bro doesn't want to play any more, but he has also settled down from his puppyhood and is now keeping an eye out for his old bro. We are so sad to see our old friend slip away from us, but now we celebrate things we might have taken for granted- a walk outside, no matter how short, a smiling face turned up to listen to us, and best of all, a wagging tail. Saying good-bye is not easy, but since hubby and I are both getting up there in years, we know we are all on the same journey and will some day be together as a family. One has to get over the feeling of helplessness and just enjoy them. That day comes and you'll not be able to to anything more. You have to think that it's part of life and you are powerless to even save yourself. I considered it a privilege to look after my companions ~ they had stayed by my side when I was sick ~ they had made me the center of their universe and given me all the love they had. Why would I not want to ease their way. I found that it was a gift I could give to my fur friend after all the gifts that they have given me over the years. I was glad to be able to help in their golden years. I was surprised how fast Chloe's health changed. Once I realized what her limitations were we could move on and enjoy the activities she can do and enjoy. My heart sings when she shows her excitement about little joys. She continues to give so much love to us as we cherish her. 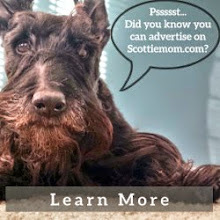 Life is a joyful journey with our special scottie girl.